The institute hospital is located within the campus, it is located amidst the hostel/residential zone and the academic zone. The NITT Hospital provides primary health care round the clock on all the days. NITT Hospital has casualty, OP & IP facilities, 24 hours fully equipped ambulance, 24 hours pharmacy and a clinical laboratory working during 07:00 a.m. to 09:00 p.m. The Emergency services are available 24/7, 365 days a year. All kinds of medical emergencies are managed effectively with the infrastructure and facilities. Treatment for various musculoskeletal disorders, including post-operative cases, sports injuries, stroke, cerebral palsy. Pain management and Rehabilitation for sport injuries with corrective and conditioning exercises. Follow up home exercise and Ergonomic Advice. The Hospital has the facility to handle dental services such as scaling, filling and extraction of tooth. The ambulance services is outsourced from M/s. Apollo Hospitals Enterprise Ltd. is stationed at the institute hospital. The ambulance is fully equipped with oxygen cylinder, nebulizer, lifesaving drugs, first aid kit bag, Electronic Suction Pump, Spine Board, Biphasic Defibrillator with Cardiac Monitor and Recorder suitable for adults, children, infants up to 5 kg, Artificial Manual Breathing Unit (Adult, Child & Neonatal), Volumetric Infusion Pump with LCD programming display, Syringe Infusion Pump, Needle & Syringe Destroyer, Pneumatic Splints, Coiler Splints, Cervical Collars, etc. The ambulance is provided with a Trained Emergency Medical Technician (a Paramedical Staff who will be able to operate all the instruments installed in the ambulance), who is capable to deliver pre-hospital care to stabilize the patient and transport the patient to any empanelled hospital will first aid care. The clinical laboratory is outsourced to Hindlabs of M/s. HLL Lifecare Limited (A Govt. of India Enterprise) Samples of blood, urine, mucous, stool, etc., are obtained from the patients referred to the clinical laboratory by the Medical Officers of Institute Hospital for the prescribed tests. Results of the tests are reported to the doctor on the same day by means of computerized printout. All the tests listed under the CGHS scheme are carried out for the students and eligible employees. Testing and waste management are followed as per NABL Standards. Internal quality control is done daily. The pharmacy is outsourced to M/s. Apollo Pharmacy provides Allopathic, Ayurveda and Homeopathy medicines. 4. 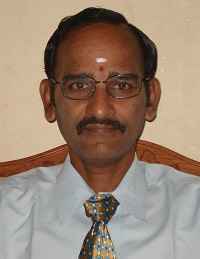 Dr. Arun Bharathi Kannan T.
5. Dr. Afrina Mehaboo K.
Mrs. R. Padmavathi, Lab. Tech. The ambulance driver is provided with an official cell phone for direct contact in case of emergency. The cell phone No. (9486001162) of the ambulance is displayed for notice in every building of the institution in prominent locations (Academic & Hostel Zone, Administrative Building, common halls, sports Centre, etc.,) for call in case of an emergency. Any student/resident requiring emergency medical management will be brought by the ambulance to the Hospital. Doctors on duty will examine the patient in the casualty. Patient’s general condition and vitals will be monitored and necessary steps will be taken to stabilize the patient. If needed, ECG will be taken immediately and required investigations will be carried out. The doctor will diagnose and manage the case accordingly. After stabilizing the patient, those requiring secondary and tertiary management will be referred to the nearby hospital at B.H.E.L. Tiruchirappalli. This is a 200 bedded hospital run by BHEL, Tiruchirappalli, a Govt. of India – Public Sector Undertaking, which is close by the institute (5 kms from NIT Tiruchirappalli). Each student is included under the medical group insurance scheme NITT Students Group Personal Accident and group Mediclaim Insurance Policy since the time of enrollment as student of NIT Tiruchirappalli, under which all the major hospitals of Tiruchirappalli and also the major cities in the country, are empanelled. The student Roll/ID Number is availed as the Group Insurance Number of each student.